Standard - $96.99 Only 2 left! The hallowed halls of Hogwarts have been around for a long time, they have sent some of the world's best wizards into the world. Everything about this school is impressive. From the moment you set foot on the grounds, you're surrounded by majestic stonework that towers above anyone crossing into the main entry. The face of Hogwarts is speckled endless windows that promise more mysteries than anyone could ever learn in a lifetime. We don't know about you but our school cafeteria never boasted endless delicious food on the tables and the decor was lacking in a pretty devastating way. While Hogwarts students got to watch the enchanted changing skies of the dining hall ceiling while they supped we had to take in the posterboard signs made by students reminding us not to waste any mac and cheese. Would you be willing to do high school over again at Hogwarts? Who wouldn't? You just might be able to fit in if you're wearing the right gear and hook yourself up with some Polyjuice Potion. 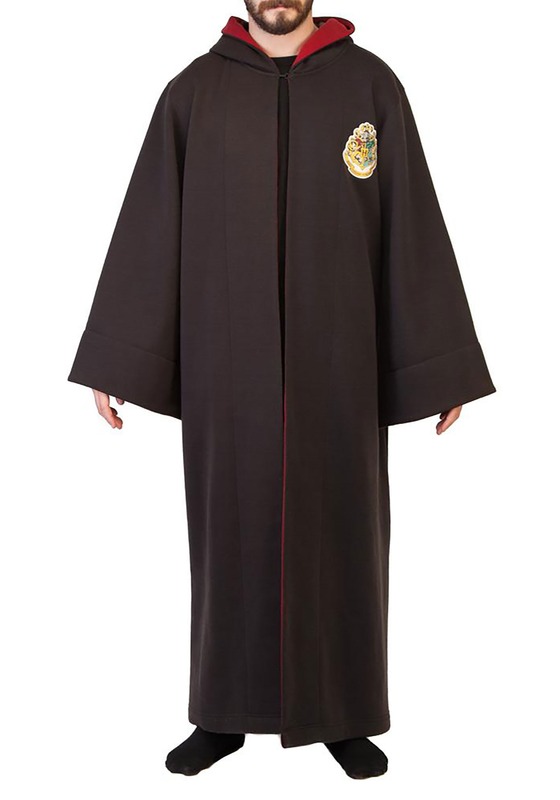 This Harry Potter robe is luxurious, perfect for going to class in style. This robe is a substantial polyester suede fabric and is lined with a red satin. 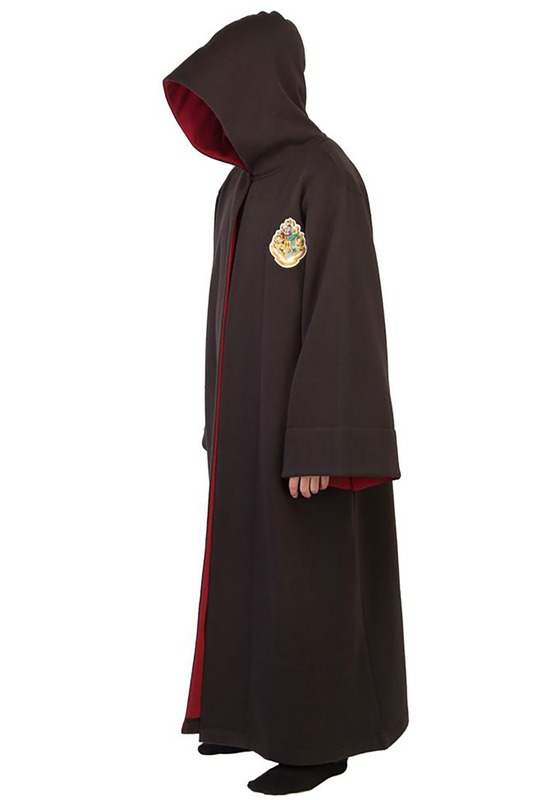 It has an oversized hood for mysterious midnight wanderings. The chest has a colorful badge on the chest so people will know exactly where you're studying. Now, all we have to do is decide what Hogwarts house you're from. Join Slytherin and embrace having friends that are as cunning as you are. Get out there and grow some plants with the Hufflepuff house. Maybe you're more of a bookworm and want to stick with Ravenclaw. Or maybe, just maybe with Griffyndore. 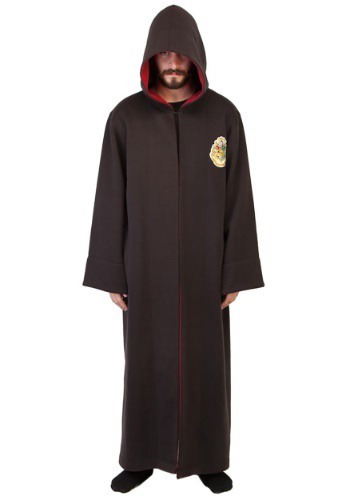 When you're wearing this sharp Hogwarts robe you can actually change your alliances whenever you throw it on. There we go, thinking like Slytherins again!